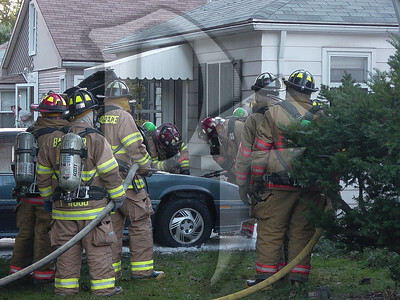 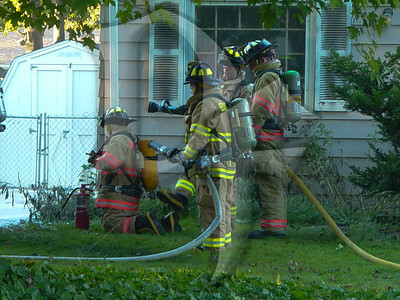 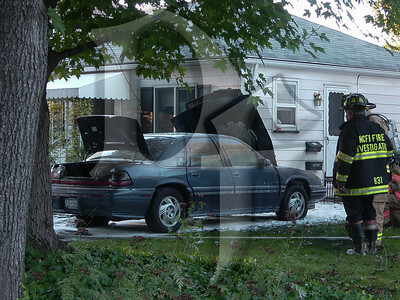 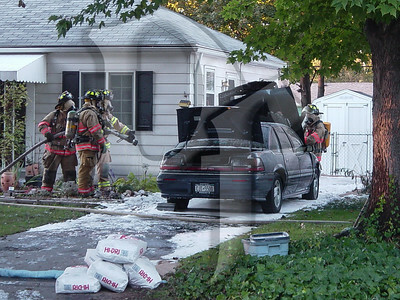 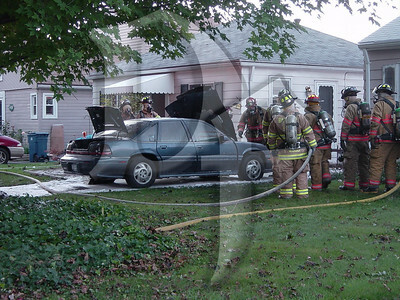 October 7, 2003 - Barnard Firefighters, with mutual assistance from North Greece FD responded to a car fire on Brayton Rd. 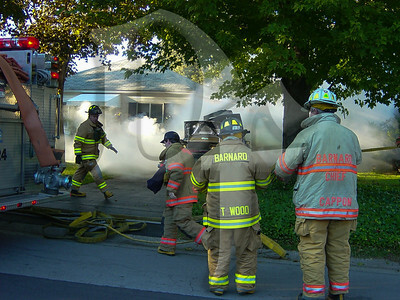 around 5pm. 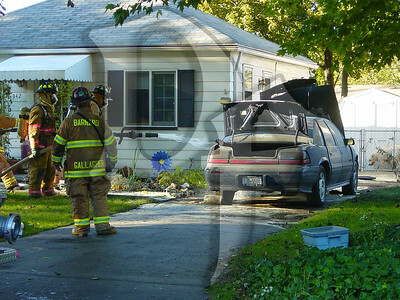 After the fire was knocked down and crews were disconnecting the battery, gasoline sprayed on to the hot engine and ignited. 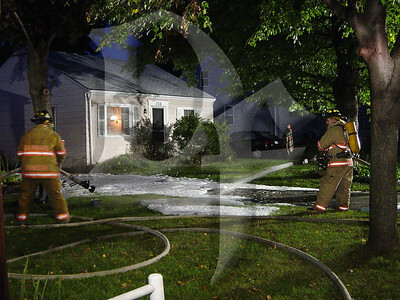 One firefighter was treated at the scene for minor burns. 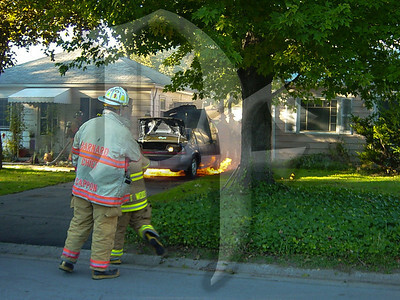 Had he not been wearing his PPE properly it could have been much worse. 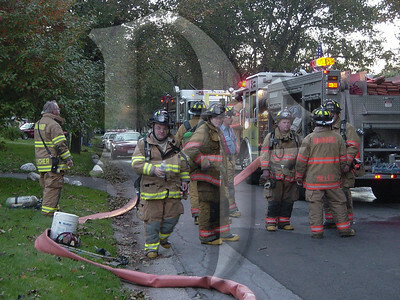 Firefighters remained on scene until the vehicle was removed and the spilled gasoline could be cleaned up over two hours later.